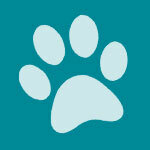 Holistic Blend is a family-owned Canadian pet food company. They have been in business since 1993. 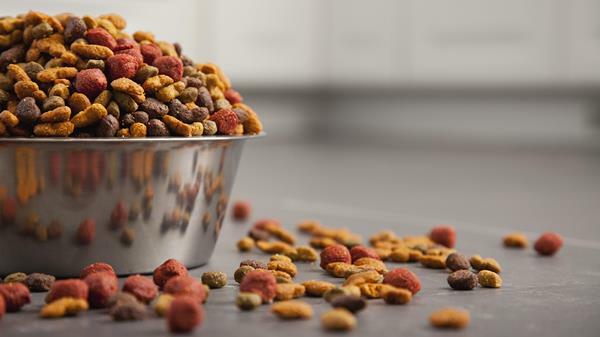 According to the company, all of their foods meet AAFCO pet food guidelines; but they also state that their foods exceed FDA guidelines for human consumption. Holistic Blend says that they use only top quality natural and organic ingredients with no chemicals, by-products, added salt, sugar, artificial colorings, flavors, fillers, or binders. And they do not use corn, wheat, or soy in their foods. They state that all of the ingredients in their foods come from Canada, the U.S., or New Zealand. In addition to dog and cat food, Holistic Blend also makes treats and some supplements. The company has headquarters in Mississauga, Ontario. Who Manufactures Holistic Blend Dog Food? 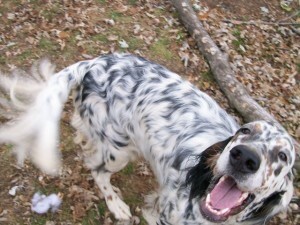 We have seen suggestions online that Holistic Blend is manufactured by Elmira Pet Products. Like Holistic Blend, this company is also located in Ontario. 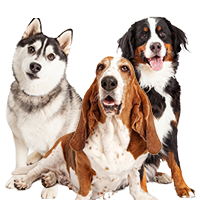 Elmira Pet Products makes a number of private label and commercial pet foods and it has high quality standards. 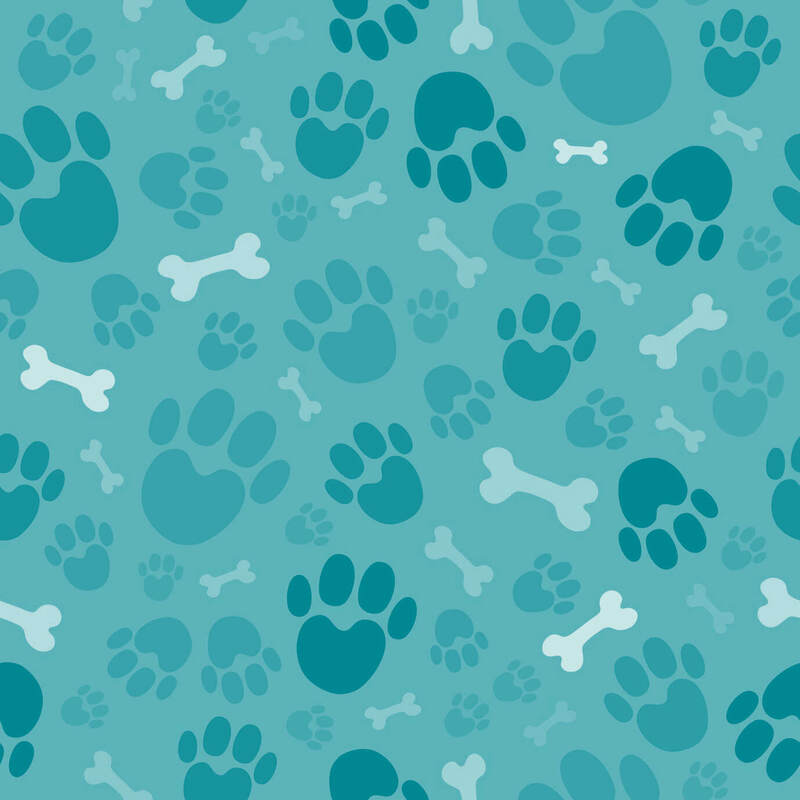 However, because of the name confusion between Holistic Blend and Holistic Select (made by WellPet LLC) pet foods, it’s difficult to be certain. Many online postings confuse these two foods. 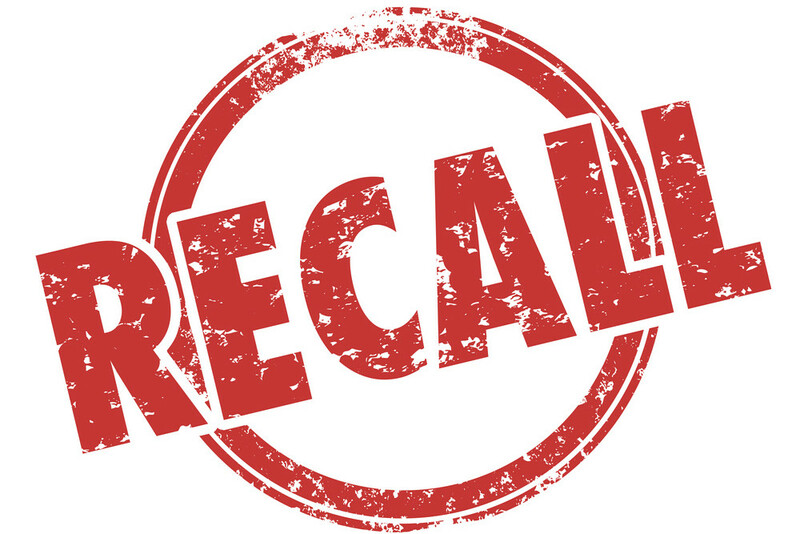 We did not find any recalls for Holistic Blend products in the FDA database. And their ingredients allow you to feed smaller portions; and there is less clean-up. We have no reason to question any of these claims by the company. 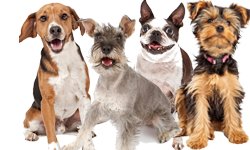 Holistic Blend currently offers five different dry dog food formulas. They are all formulated for all life stages. The Holistic Blend formula comes in lamb & rice and chicken, rice, & vegetable. Both recipes use free range meats and are naturally preserved using rosemary. 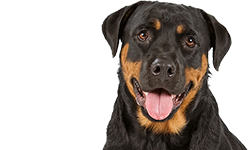 They have chelated minerals which allow the minerals to be more easily absorbed by your dog. They also have whole grains, fruits, antioxidants, and herbs. They include omega 6 and omega 3 fatty acids in a 5:2 ratio (a much better ratio than most dog foods have today). The meats in these foods are human grade with no by-products and no rendered meats. Holistic Blend also has two grain free formulas. These foods use no rendered meats and have no soy, dairy, or corn ingredients. They have no artificial flavors or colors and no artificial preservatives such as BHT, BHA, or ethoxyquin. They are also slow-cooked at low temperature. The fifth Holistic Blend food is a mix of chicken and fish with some grains. Note that if you are interested in any of these foods, they do vary greatly in protein, fat, and fiber percentages, so be sure to read the guaranteed analyses and figure the dry matter basis as well as looking at the ingredients. For example, Holistic Blend Lamb & Rice has a dry matter basis of 22.3 percent protein, 8.4 percent fat, 10.5 percent fiber, and about 47.4 percent carbohydrates. With such a low fat percentage and high fiber percentage, we would consider this food to be a weigh control dog food though it is not labeled as such. Many dogs will probably lose weight eating this food unless you feed them large amounts. 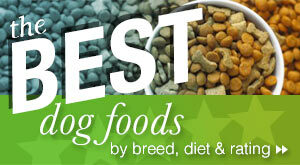 This food might be recommended for dogs that cannot eat food containing much fat. The other Holistic Blend formulas have higher protein percentages, ranging from 25-38 percent (guaranteed analysis). 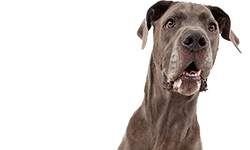 The fat percentages are also higher, though they are all moderate compared to other dog foods (15-18 percent guaranteed analysis). The chicken, rice, & vegetable formula and the grain free food have crude fiber of 10 percent (guaranteed analysis) – rather high; while the marine 5 has 5 percent and the perfect blend has a low 3 percent crude fiber (guaranteed analysis). We note that the moisture content of Holistic Blend’s foods is, in some cases, much lower than most dry dog foods. We can only speculate about why the foods might have a very low moisture content. These are very natural foods and they don’t use artificial preservatives. They appear to use even fewer preservatives than most holistic foods. The company may slow-cook the food longer, removing more moisture, to help them stay fresh in the package longer. We can report that some people who feed the food to their dogs say that they notice their dogs drinking a lot more water when they feed this food (even when they love the food). So, this is just something to be aware of if you feed these foods. Again, this is just speculation. The ash content in these foods also varies. In many brands the ash content is more or less consistent across recipes because they use similar ingredients in each formula. In the Holistic Blend formulas it varies from a high of 10 percent down to 7 percent. (Seven percent is the industry average for dry dog food. This is the figure recommended to be used when figuring dry matter basis percentages.) Ash content refers to the non-burnable mineral content left over after the food is burned during a test of the food. The protein, fat, and carbohydrates would all burn away, leaving only some calcium, phosphorus, and trace minerals. Dogs only need about 2 percent ash content in their food. The rest of the ash content is considered to be filler. We don’t necessarily think that a high ash content denotes an inferior food but it always leaves us with questions. Overall, it looks like the ingredients in the Holistic Blend foods are of excellent quality and the company seems to strive to use desirable, human-grade ingredients. This food has Crude Protein (min) 30 percent, Crude Fat (min) 16 percent, Crude Fiber (max) 5 percent, and Moisture (max) 10 percent. The ash content is given as 7 percent. Like the other Holistic Blend foods, this is an all life stage food. The first five ingredients listed are: Fresh fish (Pacific Cod, Sole, Flounder and Wild Salmon), herring fish meal, chick peas, lentils, and flaxseed. As long as your dog enjoys fish and has no food allergies or sensitivities to these ingredients, there shouldn’t be a problem. Cod, sole, flounder and wild salmon are all very good fish for dogs. Cod is 93 percent protein and 7 percent fat. It’s a good source of lots of vitamins and minerals, especially B vitamins. Salmon is a wonderful source of omega 3 fatty acid. Herring fish meal usually provides very high quality protein along with omega 3 and omega 6 fatty acids. It’s a very digestible protein and promotes healthy skin and coat in dogs. Chick peas are a plant source of protein. They are a legume. They have about 19 percent protein, 13 percent fat, and 68 percent carbohydrates. They are considered to be a good source of dietary fiber, and vitamins and minerals – especially copper, folate, and manganese. Lentils are another member of the legume family (the same family that includes peas and dried beans). They are also a plant-based source of protein. In this case, lentils have as much as 27 percent protein, 3 percent fat, and 70 percent carbohydrates. They are high in iron, vitamin B1, B6, zind, potassium, and other minerals. They’re also a good source of dietary fiber. Plant sources of protein such as chick peas and lentils will increase the protein percentage of dog food but dogs can have more difficulty digesting this kind of protein compared to meat sources of protein. They are able to digest this protein, but it doesn’t provide the same amino acids found in meats. For this reason you often see amino acids added to dog foods that use a lot of plant-based proteins. Dogs may also require pre- and probiotics or other digestive aids to help them get the most from dog foods that use a lot of plant-based proteins. In grain free foods ingredients like chick peas and lentils have taken the place of some of the grains that were once used. Other ingredients you sometimes see in grain free foods include things like potatoes, sweet potatoes, tapioca, and so on. The fifth ingredient in this food is flaxseed. Flaxseed is a good plant source of omega 3 fatty acid. While not as available to dogs as fish sources of omega 3, the oil from flaxseed is still beneficial. Flaxseed is also a good source of dietary fiber as well as vitamins and minerals – vitamin B1 and copper, for example, and phosphorus and manganese. It has 12 percent protein, 66 percent fat, and 22 percent carbohydrates. High amounts of flaxseed may start to interfere with the body’s hormones. Other ingredients of interest in the food include salmon oil – a wonderful source of omega 3 fatty acid that is good for the heart, coat, skin and other body functions. The food has blueberries and cranberries as antioxidants (natural preservatives). It also contains a number of vegetables which may provide vitamins and minerals, as well as carbs and fiber. Bananas are a good natural prebiotic. The food also uses chelated minerals which are easier for your dog to absorb. Rosemary powder is a natural preservative. Turmeric powder is a very old spice enjoying a resurgence in popularity thanks to its usefulness in helping arthritis and other health problems. It’s also an antioxidant which may explain its presence in this dog food or it could have some other use. Kelp is a source of trace minerals such as iodine (though we are not familiar with Acadia kelp). Green-lipped mussels are sometimes used to treat dogs with joint and arthritis problems. It seems that this food has some ingredients added as supplements to treat joint and arthritis problems in dogs, though this is not listed with the information for the food. 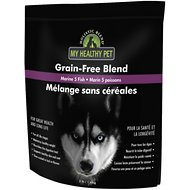 We think that Holistic Blend Grain Free Marine 5 dog food looks like a good food based on the ingredients. Let’s look at the numbers. Metabolisable energy evaluated as per AAFCO calculation method 483 Kcal/g (per cup). Comes in 3, 7 and 25 lb bags. Holistic Blend is formulated to meet the nutritional levels established by the AAFCO Dog Food Nutrient Profiles for all life stages. The dry matter basis (DMB) figures for this food are: 33.3 percent protein; 17.8 percent fat; 5.6 percent fiber; and 35.6 percent carbohydrates. This food has above average protein and moderate fat compared to many holistic dog foods. It has average fiber and average carbohydrates. Where can you buy Holistic Blend Dog Food? 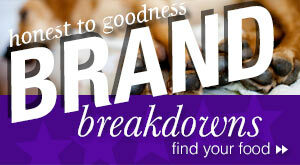 These foods appear to be easy to find in Canada and they may be less expensive there. You can find them online at Chewy.com and other online retailers. 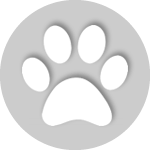 They may be harder to find at pet retailers in some areas but you can use the store locator on the Holistic Blend web site to find stores that carry the brand. Holistic Blend has several programs that allow you to earn coupons. You can also enter contests and find other ways to get coupons by checking out their Facebook page. We think that Holistic Blend looks like a very good company. 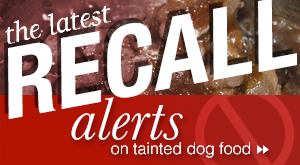 They use good quality ingredients and they have had no recalls that we can find. You do need to carefully read the ingredients and examine the nutrient percentages in these foods. From looking at them it appears that the foods are actually specialized (weight control or low fat, a food with supplements for joint/arthritis problems, etc. ), but they are not labeled as such. You won’t know this unless you look at the ingredients and percentages. We would suggest that Holistic Blend make these selling points clearer to customers so they can buy the food that their dog needs. Yes I find this site quite helpful. I use Orijen. I have a small dog and learned he is a picky eater. He likes the Orijen but I have to give him the fish flavor. As the original is just not tasty enough for him. Funny but true. It’s great food and he truly likes it. It also is very good for him. There are a lot of dog foods out there now with higher protein levels. I am concerned about these high levels for large breeds and older dogs, particularly growth problems and kidney problems. Is there any professional advice on this?